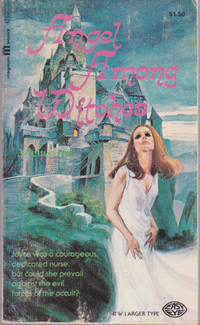 First printing, Popular Library mass market paperback edition, 1972. A Queen-Size Gothic. Good condition with heavily creased spine, odor-free dampstain to bottom corner. 319 tight pages with some mottling of green tint on edges. First printing, Berkley Medallion mass market paperback edition, 1977. Good condition with creasing, scuffing, edgewear to cover, bookstore stamps inside and on top page edges. 218 tight, clean pages. 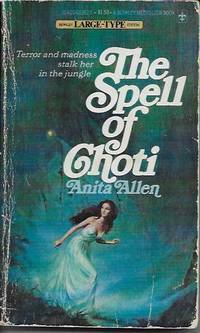 Choti, the dog-god, haunts a tiny South Pacific island, where a woman is stalked by terror and madness in the jungle. New York: Ace Star Books, 1967. Ace Star mass market paperback 07300, 1967. Very good condition with light spine crease, age-tanning inside. 190 clean, unmarked pages. A novel of modern witchcraft. Behind the lovely facade of a young wife lurked the evil spectre of a witch.. Mass Market Paperback. Very Good. New York: Magnum Books, 1970. Magnum Gothic Original 75352. Easy Eye Larger Type Non-Glare Paper. Good copy with minor creasing, coffee stains on cover. 221 pages. Yesterday's horror lived in the house next door, dooming Vera even as she searched for love.. First Edition, Paperback Original. Mass Market Paperback. COLLECTIBLE GOOD. New York: Dell Publishing Co. Inc., 1967. First Dell paperback printing. Good copy with minor creasing, age-toning inside. 159 pages. She was a beautiful woman condemned to darkness by the past she could not escape.. First Thus. Mass Market Paperback. COLLECTIBLE GOOD. New York: Fawcett Gold Medal, 1970. Fawcett Gold Medal T2296. Very good copy with minor spine crease, ink mark on top edge. 192 pages. Romantic suspense that delves deeply into the secret places in a woman's heart.. Mass Market Paperback. Very Good. New York: Ace Books, 1962. Ace Star Gothic 57975. Very good copy with minor creasing to spine, rubbing to cover. 192 pages. 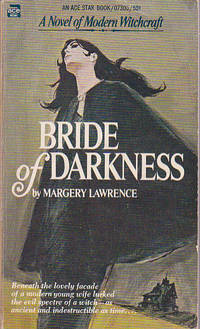 A novel in the Du Maurier tradition, of a young girl trapped in a morass of evil and violence.. Mass Market Paperback. Very Good. New York: Popular Library, 1976. Clean, uncreased copy with art of frightened lady on cover. 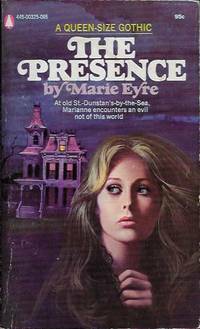 Gothic novel by the author of the Dark Shadows series. 221 pages. In this place of strange secrets and violent death, her heart echoed to the pounding hoofbeats of a phanton stallion of the night.. Mass Market Paperback. Very Good. New York: Love Spell, 2002. Crisp, clean copy. 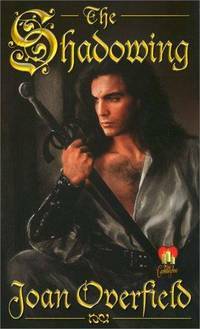 Love Spell Gothic Romance novel with art of sword-wielding man on cover. 309 pages. . Mass Market Paperback. Very Good. New York: Popular Library, 1977. Popular Library Queen-size Gothic. Good copy with minor creasing to cover and spine. 288 pages. On an island of elegance and evil, waves of horror crashed down upon her. . Mass Market Paperback. Good. New York: Lancer Books, 1966. Lancer Gothic Romance 72-992. Very good copy with light creasing to cover and spine. 189 pages. The spinning of a strange web began with Claudia's impulsive marriage to a quiet stranger. . First Edition, Paperback Original. Mass Market Paperback. COLLECTIBLE Very Good.